On Monday, January 22, Israeli poet Yehonatan Geffen posted a poem on his Instagram account comparing Palestinian activist Ahed Tamimi to both Anne Frank and Hannah Szenes. The poem was written in response to 17-year-old Tamimi ‘s arrest in December after the young activist slapped an Israeli soldier. Geffen’s analogy between the famous diarist who was forced into hiding from the Nazis for two years, and a Palestinian who goes around provoking soldiers by biting and slapping them, is abominable. And his poem’s comparison of Tamimi’s assault of an IDF soldier to a female paratrooper who fought Nazis in Hungary, and was eventually tortured and killed by them, is no less abhorrent. These comparisons, made just five days before International Holocaust Remembrance Day, are an insult to the victims of the Holocaust, and to the memories of the six million of Jews persecuted and slaughtered by the hands of the Nazis. In the media’s eyes, Ahed Tamimi is the “darling” of Palestinian activists, a young, striking girl with curly blonde hair, standing up to an Israeli soldier. But what the media fails to mention is that Tamimi is regularly used as a pawn by her family in failed attempts to incite Israeli soldiers, by strategically placing her in front of cameras while she harasses and assaults them. To compare this teenager that some Israelis refer to as “Shirley Temper” to Anne Frank is insulting and downright false. Anne Frank and her family stood for ideals of peace and survival; the Tamimis have a history of not only supporting terror and violence, but perpetuating it as well. 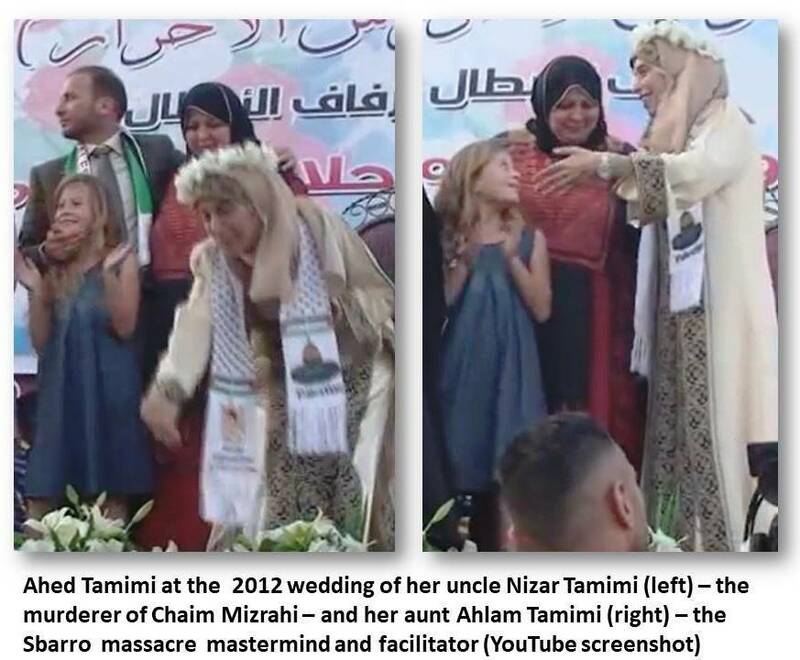 Tamimi’s aunt, Ahlam, was behind the 2001 Sbarro bombing that killed 15 people including seven children and a pregnant woman, and wounded about 130. As the first woman to be recruited by Hamas’ Izzadine el-Qassam brigade to carry out attacks such as this, Ahlam felt no remorse for what she had done, and wished there were more casualties. It should not come as a surprise that she is on the FBI's "Most Wanted" list. 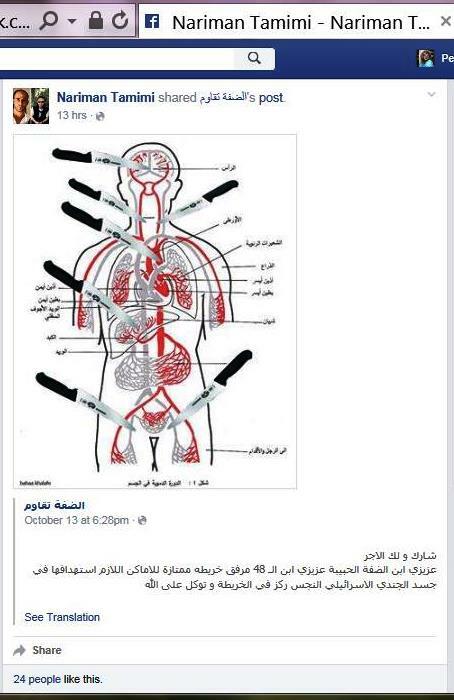 Terrorism in the Tamimi clan extends beyond the Ahlam Tamimi. Ahlam’s husband helped his cousin Said murder an Israeli Jew in 1993. A photograph of young Ahed at her aunt and uncle’s wedding in 2012features Ahed looking lovingly up at her murderous aunt. Ahed’s mother and father, Nariman and Bassem Tamimi, both publicly support terrorist groups Hamas and Hezbollah on Facebook, liking propaganda from the groups’ pages and sharing posts that promote violence the destruction of Israel. They also have publicly praised their daughter when she posted a photo of herself hurling stones at Israeli soldiers. Bassem encourages his children to provoke Israeli soldiers, especially when there happens to be a camera nearby. 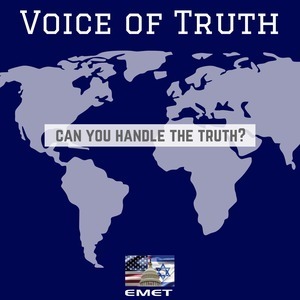 Since multiple members of the Tamimi family have encouraged and even carried out acts of terrorism, it is plausible that Ahed will do the same. After all, she has stated she hopes to one day be a martyr for the Palestinian people. Geffen has since apologized for making such a comparison, but only after Israeli Defense Minister Avigdor Liberman called for a ban of Geffen’s songs from Amy Radio. Geffen also told The Jerusalem Post, soon after posting his poem, that he stood behind “every word” of it, and it still remains up on his Instagram. If the Palestinians want a hero, it must be someone who promotes peace and values life, not one whose family calls for the destruction of the Jewish State and the murder of innocent Jews.